As you no doubt have heard by now, Amazon has chosen Arlington one of its new headquarters sites. 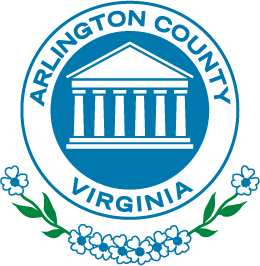 Information about the proposed agreement is available on the County website, and I welcome thoughts and comments as the Board analyzes the final agreement. We will follow our regular public engagement and hearing process for development decisions and vote no earlier than this coming February. While I have not had the opportunity to study the agreement in detail yet, I believe this is very good news for Virginia and the whole Metro region, as well as for Arlington and Alexandria. There will be challenges as we adjust to larger and faster growth than we have had, but these are good challenges to have and we can meet them. We have long-standing processes in place to manage this growth. In addition, the growth will be slow at first and happen over a number of years. It will take several years before Crystal City is even back to its pre-recession population of workers. Here are the links to Amazon, the Governor, and Arlington/Alexandria’s press releases. As I write to you this evening, I have just returned from our Sister Cities of Aachen, Germany and Reims, France, where I have been representing Arlington for the 100th Anniversary of WWI, in which both my grandfathers served. I look forward to many conversations in the days, weeks, and months to come.